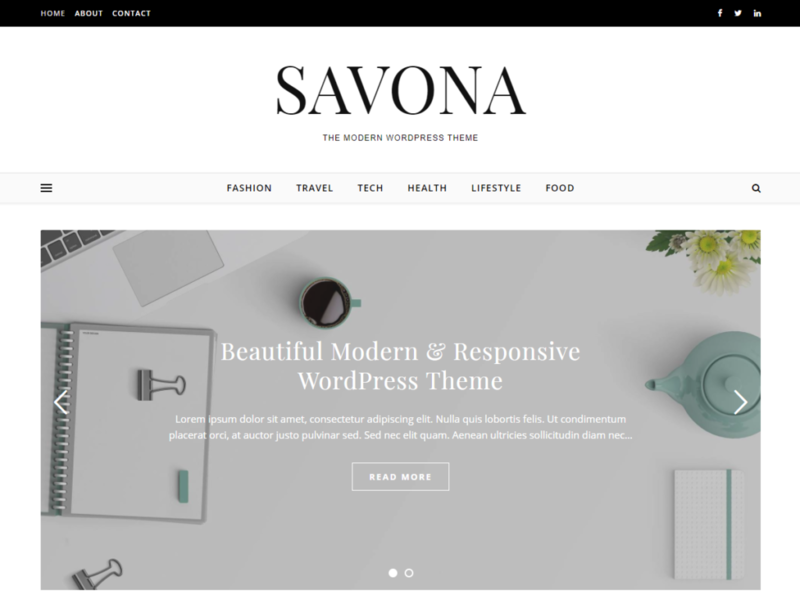 Savona is a free multi-purpose WordPress Blog theme. Its perfect for any kind of blog or website: personal, professional, tech, fashion, travel, health, lifestyle, food, blogging etc. Its fully Responsive and Retina Display ready, clean, modern and minimal design. Savona is WooCommerce compatible, SEO friendly and also has RTL support. 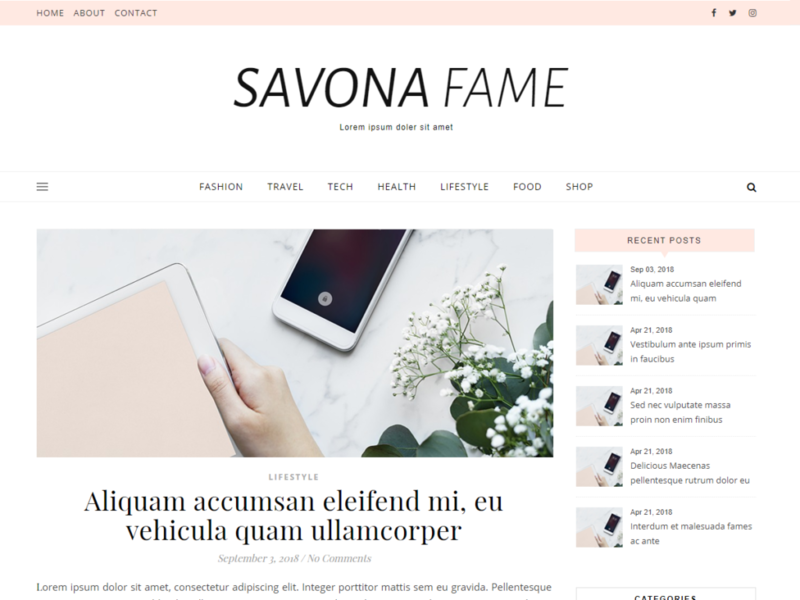 Savona Fame is a free multi-purpose WordPress Blog theme. Its perfect for any kind of blog or website: personal, professional, tech, fashion, travel, health, lifestyle, food, blogging etc. Its fully Responsive and Retina Display ready, clean, modern and minimal design. 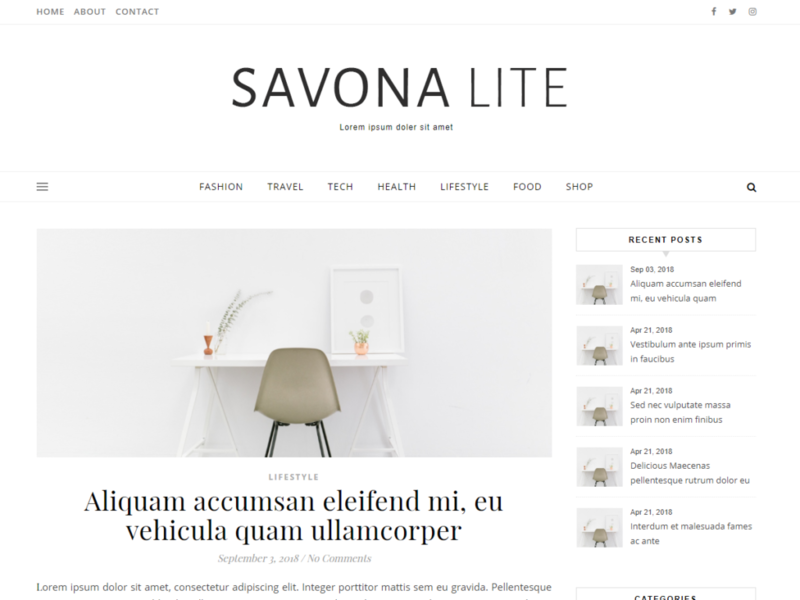 Savona is WooCommerce compatible, SEO friendly and also has RTL support. 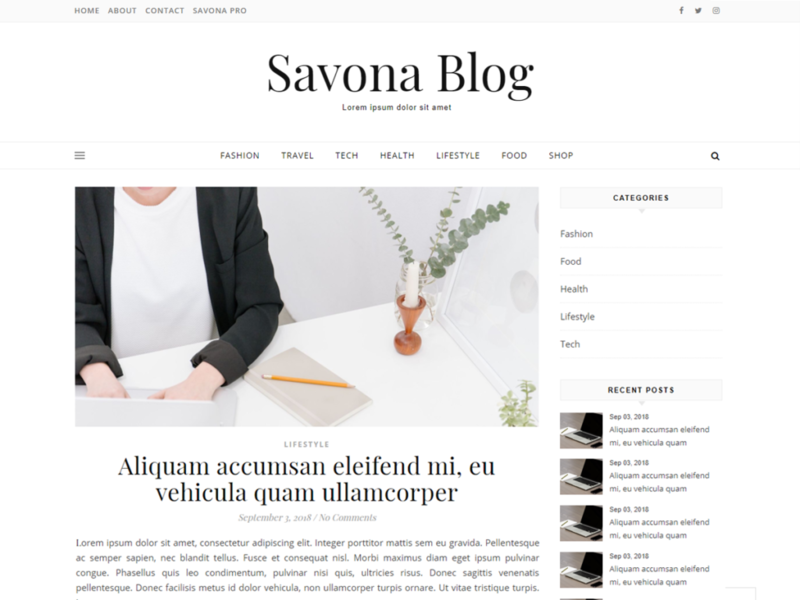 Savona Blog is a free multi-purpose WordPress Blog theme. Its perfect for any kind of blog or website: personal, professional, tech, fashion, travel, health, lifestyle, food, blogging etc. Its fully Responsive and Retina Display ready, clean, modern and minimal design. Savona is WooCommerce compatible, SEO friendly and also has RTL support. 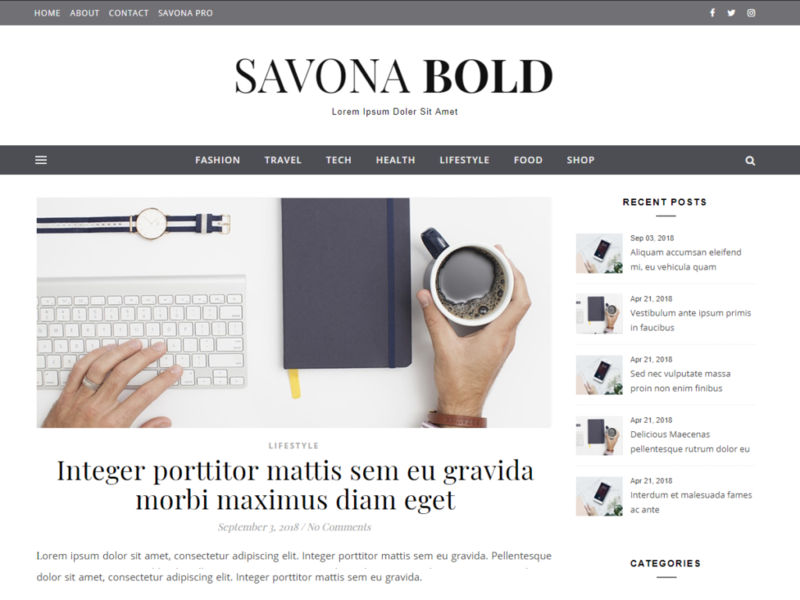 Savona Bold is the bold version of the popular Savona Theme. It’s a multi-purpose WordPress Blog theme perfect for any kind of blog or website: personal, professional, tech, fashion, travel, health, lifestyle, food, blogging etc. Its fully Responsive and Retina Display ready, clean, modern and minimal design. Savona is WooCommerce compatible, SEO friendly and also has RTL support. Savona Lite is the lite and minimal version of the popular Savona Theme. It’s a multi-purpose WordPress Blog theme perfect for any kind of blog or website: personal, professional, tech, fashion, travel, health, lifestyle, food, blogging etc. Its fully Responsive and Retina Display ready, clean, modern and minimal design. Savona is WooCommerce compatible, SEO friendly and also has RTL support. 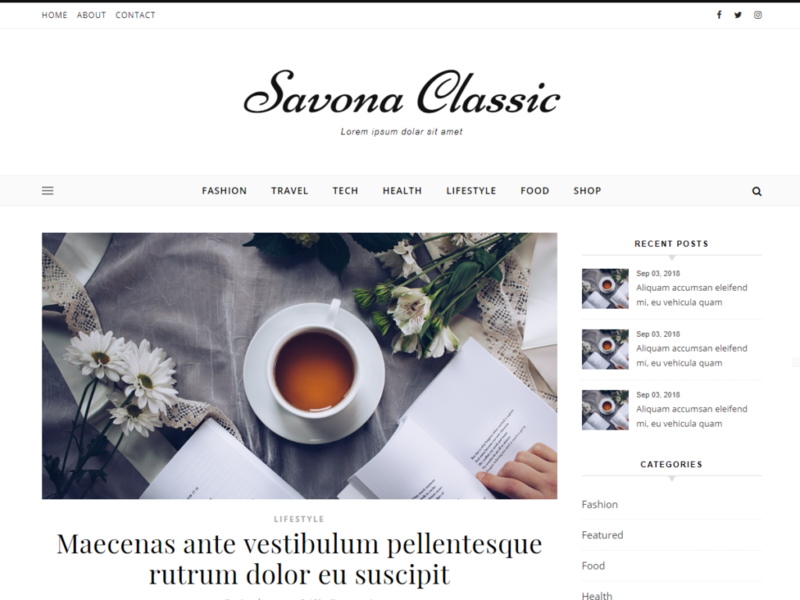 Savona Classic is a free multi-purpose WordPress Blog theme. Its perfect for any kind of blog or website: personal, professional, tech, fashion, travel, health, lifestyle, food, blogging etc. Its fully Responsive and Retina Display ready, clean, modern and minimal design. Savona is WooCommerce compatible, SEO friendly and also has RTL support. 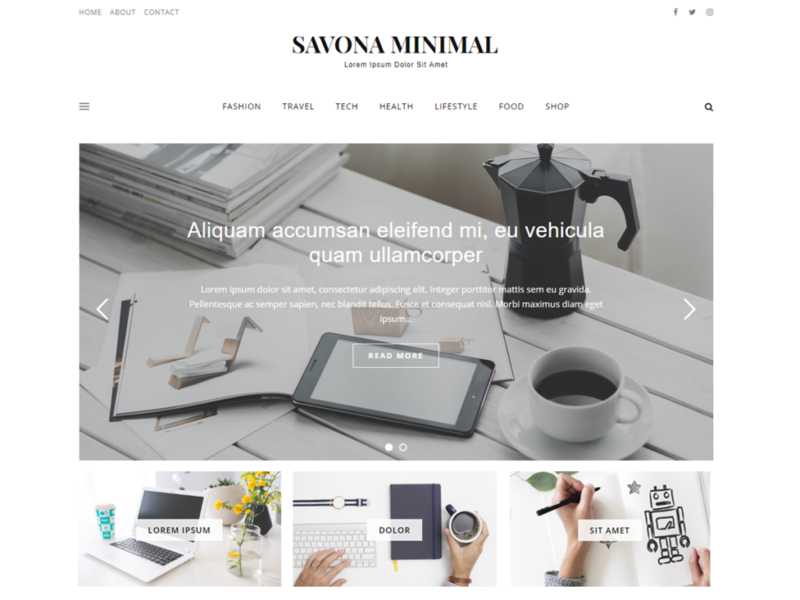 Savona Minimal is the minimalist version of the popular Savona Theme. It’s a multi-purpose WordPress Blog theme perfect for any kind of blog or website: personal, professional, tech, fashion, travel, health, lifestyle, food, blogging etc. Its fully Responsive and Retina Display ready, clean, modern and minimal design. Savona is WooCommerce compatible, SEO friendly and also has RTL support.